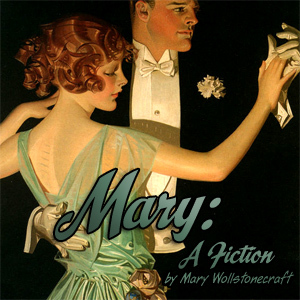 Mary: A Fiction, published in 1788, is a tragic story that decries marriages not based on love. It can be considered an example of feminist fiction. Mary's parents are in a loveless marriage. As the second-born, female child, she is neglected; her education is self-directed from books, nature, and her own inclinations. Her inclinations, however, are towards genius and religion. Mary becomes the heiress of her parents' fortune when her brother dies. To keep the family property together due to litigation, her parents marry her to a boy she has never met. After the ceremony, he goes to the Continent, and Mary devotes herself to her weak, sickly friend, Ann.